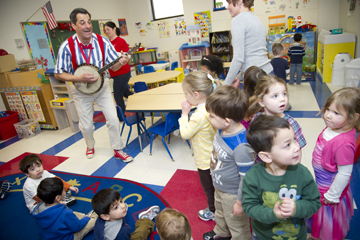 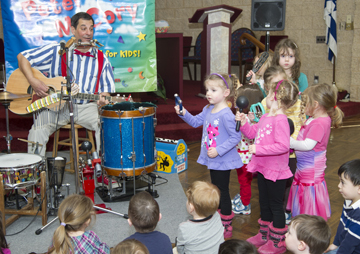 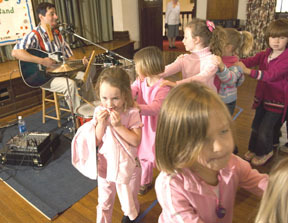 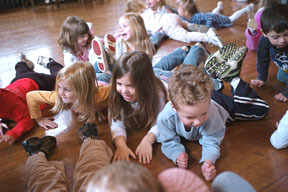 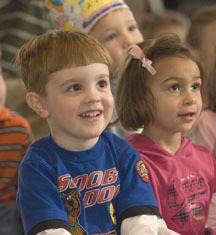 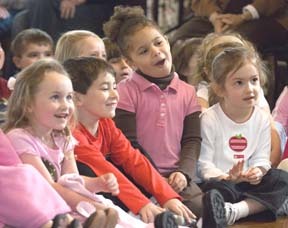 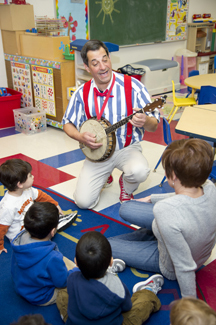 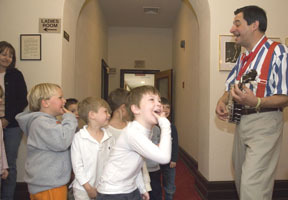 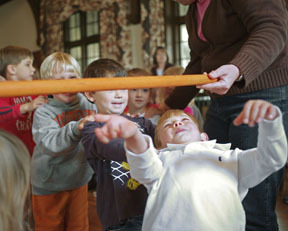 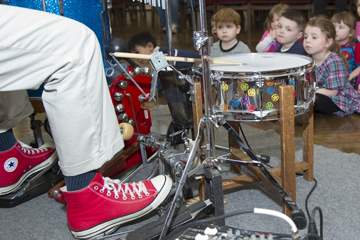 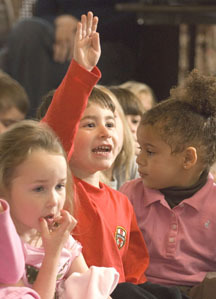 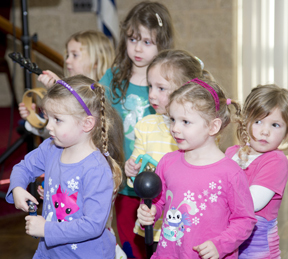 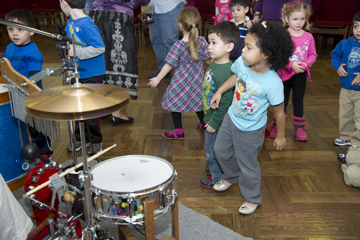 While Peter performs for kids of all ages, he's become quite a hit with the preschool crowd. 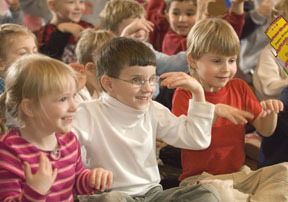 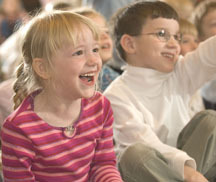 Little ones dig his interactive show -- Peter never expects them to stay still and quiet for long! 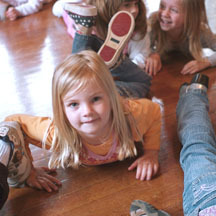 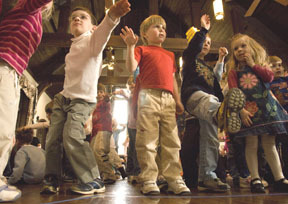 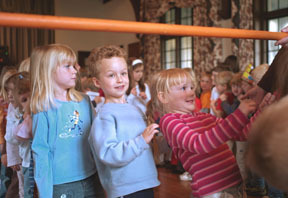 It's not long before they're up dancing, acting like planes, trains and dinosaurs, or just clapping along with the beat. 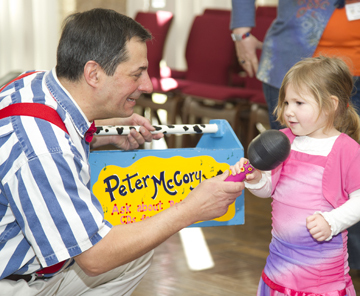 Here are a few photos from some of Peter's shows. 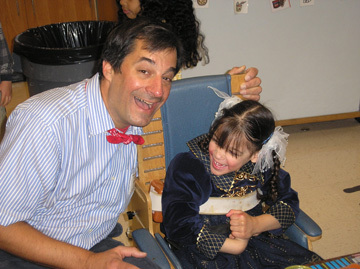 You can also find a few videos if you go to Peter's YouTube channel. 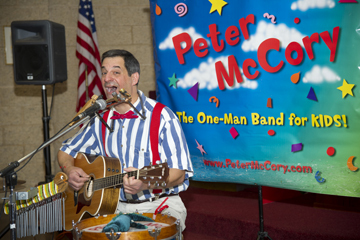 Just search Peter McCory in the YouTube search line. 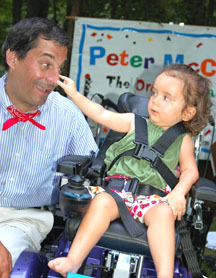 Peter's hoping to make much better use of this in the future, and is working on some music videos and a one-man band demo that should be posted soon.